The B-Basic is a local indicator to display the actual flow rate, total and accumulated total. The total can be reset to zero by pressing the CLEAR button twice. On-screen engineering units are easily configured from a comprehensive selection. The B-Series is our most cost effective display but with all the benefits you may expect from a Fluidwell product: It’s durable, reliable and very easy to operate. Basic with a capital B! Familiar easy operation with the Fluidwell "Know one, know them all" configuration structure, saving time, cost and aggravation. Searching for manuals? Login for downloads. 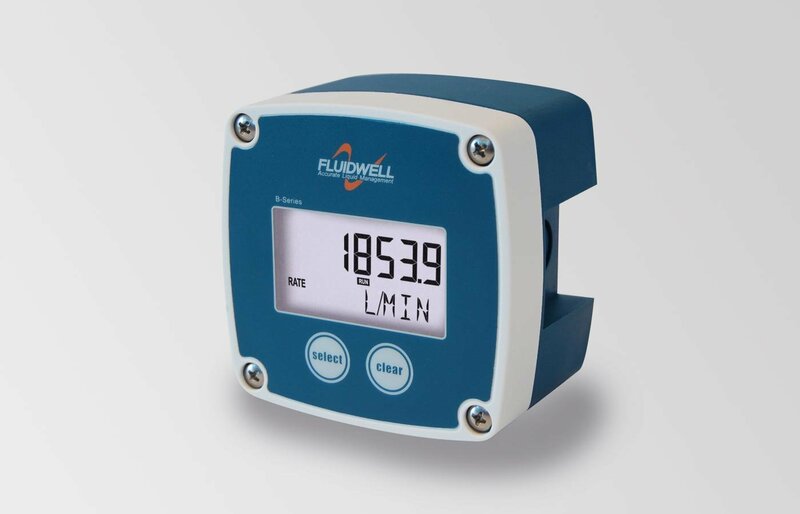 Displays instantaneous flow rate, total and accumulated total. Durable IP65 (Type4) field, wall or meter mount enclosure. One 20mm and two 16mm knock-out hole cable entries. “Know one, know them all” configuration structure. 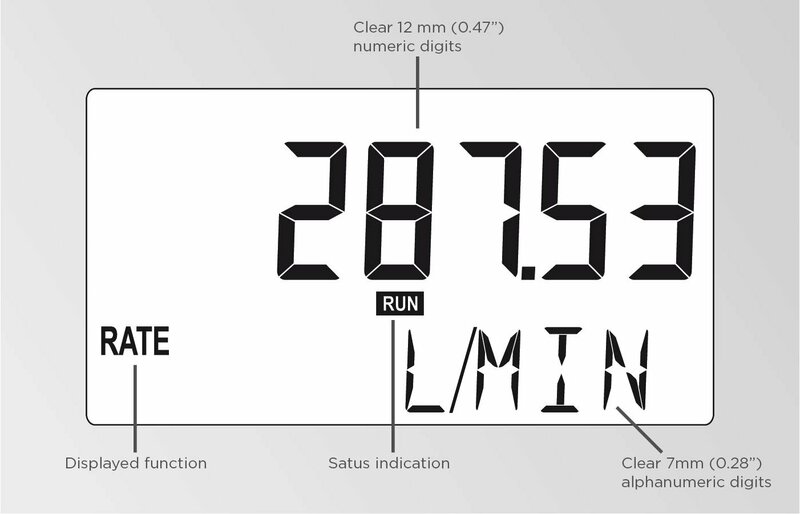 Easy reading and programming with clear alphanumerical display. Clear 12mm(0.5”) numeric digits and 7mm(0.3”) alphanumeric digits. Auto backup of settings and running totals. Lithium AA battery and 10 - 30V DC power supply. 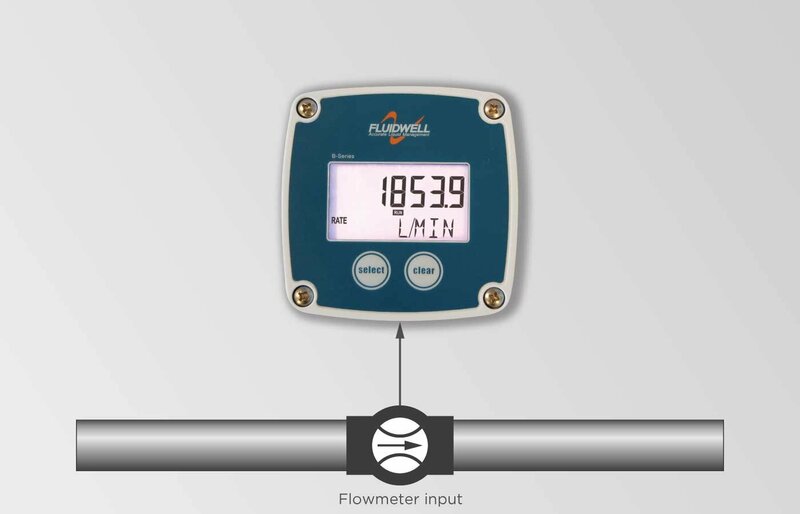 Basic flow measurement where a local flow rate indication and totalizer function is required without re-transmission functionality. The B-series offers you an economical solution for common industrial applications. Nothing more, nothing less. Basic types of flowmeter signals: Namur, Reed-switch, NPN, PNP and Sine wave (coil). A single 3,6V lithium AA battery. For Intrinsically Safe applications we recommend the F-Series. For Explosion Proof applications we recommend the E-Series. Modbus communication available on F1-Series products. HART communication is available with the F018 & E018 Flow rate Monitor / Totalizers. No questions have been asked about this article yet. Your question has been forwarded to our support team.